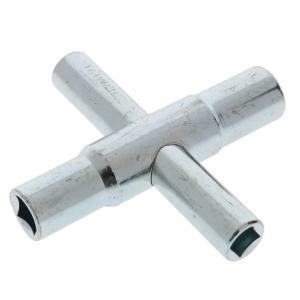 Four Way Key is a great tool for plumbers and contractors. The Four Way Faucet Key fits a variety of items, such as: stopcocks, sillcocks and valves. Made of a heat treated steel for durability. Includes Sizes: 1/4", 9/32", 5/16" and 11/32" internal square.